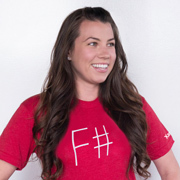 Run an F# app, get an F# shirt! F# compiler task shipped directly with FAKE 3.1. Steven Taylor published F# friendly connector to KDB+. Major update to ServiceStack F# template. Tomas Petricek announced the challenge for everyone who looking for a fun with F# compiler optimization. F# MVC 5 was updated. Experimental FsPickler.CSharp package was published to NuGet. Visual F# Team open-sourced the Visual F# IDE stack! Visual F# Team published guidelines and best practices for those working on F# 4.0 core library collection functions. 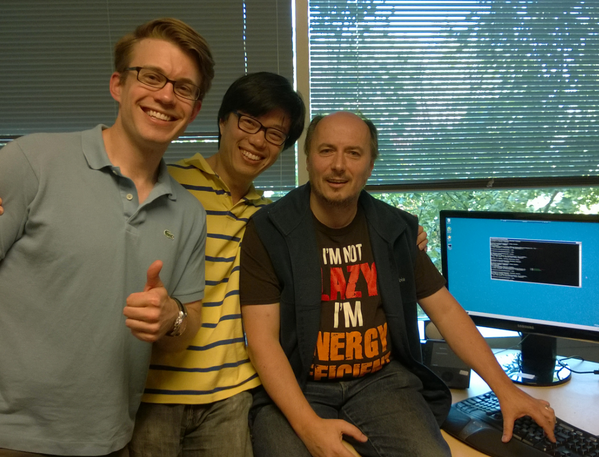 Visual F# Team is working on adding profile 78 and 259 to the F# preview. Vladimir Matveev posted a prototype for swift like printf “[Prototype] String interpolation”. “Xamarin FSharp Interactive” by Frank A. Krueger. S. Somasegar announced “Enabling Contributions to the Visual F# IDE Tools“. Steffen Forkmann posted “Microsoft, Open Source development and Codeplex“. Introduction to F# with Xamarin. Introduction to F# with Xamarin, Part II. 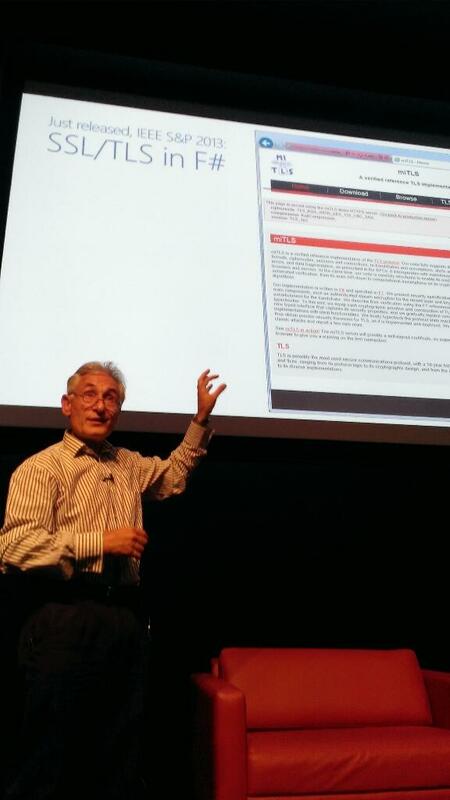 Phil Trelford wrote about “F# Summer of Code 2014“. Loïc Denuzière published “CloudSharper 0.9.13 with workspace cloud sharing!“. Jamie Dixon posted “TRINUG F# Analytics Prep: Part 2“. Adam Granicz shared “Upcoming CloudSharper features in Q3“. David Siegel blogged “Shallow: Cloning a Hook-up App in F#“. Hodza Nassredin posted “Way to computation expressions“. Ross McKinlay shared “2048 – Type Provider Edition“. Per Ökvist wrote “Exploring F# through modeling #3“. Joseph Hill announced “Contest: Build Your First F# Mobile App“. Larry O’Brien wrote “F# For Scripting“. Gabriele Cocco posted “FSCL vs OpenCL C/C++ performance“. Bartosz Sypytkowski blogged “FSharp and Akka.net – the Functional Way“. Sergey Tihon blogged “Where should the source code of Visual F# Tools be?“.